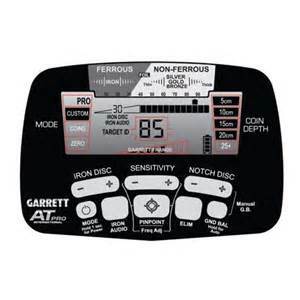 Quality Metal Detectors is proud to carry products by Garrett. 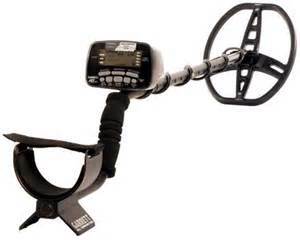 The AT Pro Metal Detector is in stock and ready to ship within the continental US for $594.96. 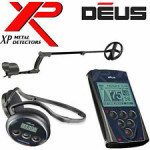 This has been the hottest metal detector on the market for years!! Great for all around metal detecting, relic hunting, and even submersible up to 10 feet. Exclusive technology makes this an ideal all-terrain solution for hunting treasures and relics, prospecting, coin shooting and shallow-water searching. Weatherproof housing makes this unit ideal for dusty, humid or wet environments. It can even be submerged to a depth of 10 ft. Proportional audio and tone-roll audio allow you to hear target characteristics as you would in true all-metal mode. 40 levels of iron discrimination provide precise separation of good targets from trash. The zero to 99 target-identification scale increases your ability to distinguish one target’s conductivity from others. An iron audio feature lets you hear discriminated iron so you can alter the detector’s midtone signal range. Fast recovery speed enhances your ability to pick out good targets from worthless ones. 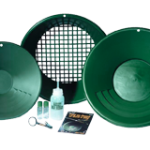 15kHz high frequency improves detection of small targets, gold nuggets and jewelry. Adjustable from 42″ to 51″. Weight: 3.03 lbs. including batteries.